Since this is 2019 Louisiana Gubernatorial Election Week, which is somewhat fitting seeing as though on Saturday we’ll have the conclusion of the Secretary of State race (and if you haven’t voted for Kyle Ardoin early, you’d better make sure you do so; based on the early voting breakdown Gwen Collins-Greenup would have a 47.6-39.5 lead over Ardoin if all the Democrat votes went for her and all the Republican votes went for him), I figured it was time to trot out one of my Immutable Rules of Louisiana Politics so as to explain what it’s going to take to beat John Bel Edwards next year. And that’s the 45-15-30-10 rule. Most people think that David Vitter lost the governor’s race to Edwards in 2015 because voters didn’t like Vitter’s personality and they were turned off by his decade-old (and then some) prostitution scandal. And certainly, “hookers” was the means by which Vitter’s electoral demise came – millions of dollars of TV ads were run attacking Vitter for untoward behavior some 14 years in the past at the time, and with two other Republican candidates joining Democrats in harping on hookers it became a bipartisan issue in a way it wasn’t back in 2010, when Vitter pulled 57 percent of the vote against Charlie Melancon in his re-election campaign for the Senate. But while “hookers” was the external manifestation of what happened to Vitter, it wasn’t the full explanation of what was going on. The numbers in the Edwards-Vitter runoff election in 2015 indicated Vitter’s fatal political flaw wasn’t a 14-year old scandal, but rather a year-old document his campaign released. Vitter, upon announcing he was running for governor back in 2014, put out a 50-page reform plan called “Together, Louisiana Strong.” In those 50 pages was a written statement of the most aggressive reform ideas any Louisiana gubernatorial candidate had ever offered. It was comprehensive, and more or less all of it was spot on from a conservative reform perspective. We’d even argue that point by point each element would probably get better than 50 percent of the voters to back it. Except that plan broke every rice bowl the special interests in Louisiana held dear. And though many of them paid homage to Vitter in the way of campaign checks early in the campaign, when he looked inevitable as the future governor, they jumped ship on him as fast as they could when he started showing chinks in his armor later. Vitter ended up getting a tiny bit less than 45 percent in the runoff with Edwards. What he got was more or less the entirety of Louisiana’s largest political faction…and virtually nothing else. The “45” are the ideological conservatives, who vote essentially along the lines of the Buckley Rule we reference here at the site once in awhile (most recently when we endorsed Ardoin in the current race). That is, the “45” go for the rightwardmost viable candidate. Sometimes, when there are multiple card-carrying conservatives in a race the 45 are split – in fact, that happens far too often, and it’s emblematic of the fact that while the 45 are the largest group in the state’s electorate they’re the worst-organized and least politically savvy. The 45 are the people who can be mobilized by conservative policy. They’re the people who will get jazzed up about things like a constitutional convention, or school choice, or pension reform, or eliminating the state’s income tax and so on. Last week when Stephen Waguespack fleshed out his call for substance rather than sound bites in the 2019 electoral cycle, the 45 are the people who would have gotten warm and fuzzy feelings. And Vitter was more or less the Grand Champion of the 45 during his time in the state legislature, in Congress and in the Senate. The 45 are enough to win in a low-turnout election. John Schroder is your state treasurer mostly because he was able to mobilize enough votes from the 45 to overwhelm Derrick Edwards last fall. But the 45 aren’t enough if you’re running for governor, and Vitter proved that to his everlasting chagrin. If you’re a Republican candidate you’re going to have to pick up votes from the 15 as well. Who are the 15? They’re the difference between Vitter’s vote and, say, the 58 percent Donald Trump won in the 2016 presidential election in the state. Or the 64 percent Kennedy picked up in the Senate runoff against Foster Campbell a few weeks later in 2016. Generally speaking they’re the difference between a 45 percent GOP showing and a 60 percent showing. These are the “moderates,” which isn’t exactly an accurate description. They might be registered Democrats or they might be Republicans, but what they really are is mostly-Republican voters who will buy into most of the policy stuff the 45 want…but along the way there is likely something they won’t go along with. Like for example, you’ll lose some of the 15 when you start talking about tort reform, because they’re trial lawyers or somebody in their family is. Or they’re riverboat pilots or somebody in their family is, so they don’t like the idea of reining in that special interest. Or they’re affiliated with the road construction industry so they’re all for a gas tax increase while the 45 says we shouldn’t have to pay more for roads until the government can prove it’s using its current funds wisely. Or they vote with their local sheriff, so you lose them when you start talking about centralized sales tax collection. Or they fall off when you start talking about school choice, because they live in a good public school district and don’t want to see the benefits of that geography fall away. Or something else. The point is when it’s a federal election and the issues are the national R-vs-D stuff everybody gets, like immigration or national security, these people are totally on board with a Republican candidate. But the more aggressively you push a conservative reform agenda at the state level the more you risk alienating these people by hitting some single-issue you’ll lose them on. If you want to know why Bobby Jindal was never on board with any kind of tort reform when he was governor, this is why – Jindal made his peace with the trial lawyers well in advance of running in 2007, and once he started catching checks from them there was no hope of beating him. That’s why he didn’t even get a Democrat opponent of note in 2007 and 2011; he’d already drank their milkshakes. The 15 have such an outsize influence on Louisiana elections that when they run for office they win an enormous percentage of the time. John Alario, who used to be an old-time Democrat, is one of the 15 and he’s the most powerful man in the state legislature. You could argue, given that he’s a converted Democrat, that House Speaker Taylor Barras is one of the 15. Ardoin probably fits in the 15. So does Lt. Governor Billy Nungesser, who’s allied himself with the Democrat Edwards. Scott Angelle and Jay Dardenne, who didn’t do well in the 2015 election but ultimately decided it anyway, were certainly of the 15. The state legislature is full of the 15, and it’s all the usual names – Ryan Gatti, Norby Chabert, Rick Ward, Julie Stokes, Blade Morrish, Gerald Long, Ronnie Johns…we could go on and on. The reason the 15 win so often is the state’s jungle primary. Put somebody from the 45 against somebody from the 15 in a runoff in a Republican district, and outside of the really conservative seats like the House districts of, say, Cameron Henry or Rick Edmonds, the guy from the 15 will get all of the votes from the other 40 percent and beat the guy from the 45. Not to mention the 15 tend to be better politicians owing to the fact their orientation is more accepting of the use of political power than that of a truly ideological conservative who carries a healthy distrust of anything the government does. What this produces is a phenomenon wherein politicians on the right tend to run on very vague signals of conservatism – God and guns, most often. Everybody is pro-life, and everybody wants to bring back prayer in schools, and for a long time everybody was super-tough on crime, and so on. Those things, which signify a cultural or social conservatism moreso than a commitment to small government or market economics, are how you can build a coalition between the 45 and the 15. They’re also how you can win without any mandate to fix the things which are actually broken around here, and that’s why we’re where we are. Where Vitter lost was that in putting in writing all the different ways he would alienate the 15, he gave the various special interests a reason to go against him and bring their people along. And he ceded the 15 to John Bel Edwards – whose approval ratings to this day reflect the fact he still has many of those people, largely because he put out the same cultural signals that winning Republican politicians have. If you’re one of the 45 and you want to win a statewide race in Louisiana, you’re going to have to be very careful about how to handle the 15. Then there’s the 30, and you’ve probably already figured out who they are. The 30 is the state’s monolithic black vote, which goes better than 90 percent Democrat in every major election. Sometimes the 30 plays smaller – in federal races it’s usually at least 30 percent of the electorate, but in statewide cycles it will often come in at 28 percent or even as low as 25, and once in a while a Republican can pull two or three points out of the 30 on social issues or some other hook. But on the whole, this is the base vote of the Louisiana Democrat Party, and it operates in a way not dissimilar to how the 45 works on the Republican side. That being that the politicians of the 30 appeal to the 30, and not to much of anybody else. They reign in majority-black districts, which means they control most of the cities in the state, but outside of an occasional Kip Holden in a 50-50 area it’s somewhat rare to see someone of the 30 show appeal outside of his or her core group. And that’s why in statewide races it’s usually the 10 who represent the Democrat side. Who are the 10? They’re the white liberals – the Mary and Mitch Landrieus, the John Bel Edwardses (his protestations to centrism aside), the Foster Campbells, the Jay Luneaus and the Walt Legers. 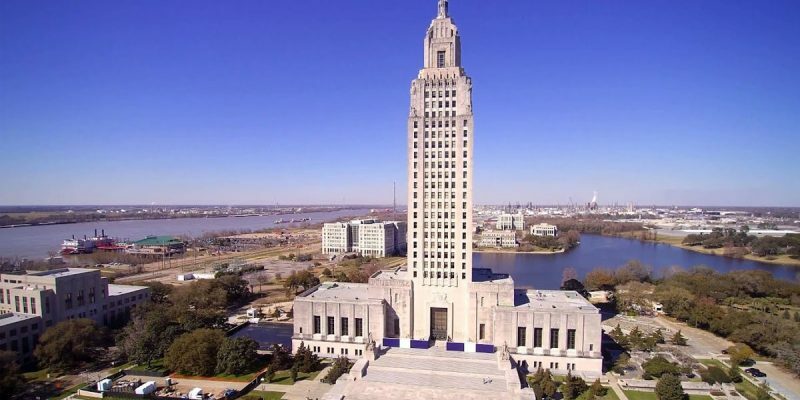 Most of Louisiana’s mainstream media are in the 10, which has the effect of peeling the 15 away from the 45 more often than is justified, and it’s the 10 who provides all the money to fuel the Democrats in the state. This is why it’s the 10, rather than the 30, sitting atop the ticket in so many of Louisiana’s statewide elections – though in the special election races last year and this year it’s the 30 who seem to be taking over, and when Gwen Collins-Greenup outpolled Renee Fontenot Free in the Secretary of State primary it was a signal that the 10 might be losing their grip over the Democrat Party in the state. Most of the time, the key challenge for Republicans is to keep the 10 from getting their hooks into the 15 – which politicians of the 10 have been far, far too able to do. Mary Landrieu, for example, managed to play the crony-capitalist game with the oil refinery and chemical plant people, the shipbuilders and the other otherwise conservative business people in the state who needed regulatory help or government contracts, and she had the better part of 20 years in the Senate to show for that until Bill Cassidy, who straddled the 45 and the 15, was able to put a stop to it. Edwards’ chief political achievement has been his ability to buy off as many of the 15 as possible – something that was in evidence in that laughable Advocate piece by Mark Ballard about all of his Republican support Conrad Appel so ably disparaged Monday – a Jay Blossman or Lee Mallet might well be a Republican, but if he’s given a seat on the LSU Board of Supervisors or a raft of government contracts he’s going to play ball with a Democrat. The 10 are good politicians, and they usually do a nice job of looking like the 15. But they aren’t. And if you’re a conservative politician in the state you need to understand not only how to pry the 10 off the 15, but also to make the 30 recognize the 10 aren’t their benefactors. Oftentimes the politicians of the 45 are nowhere near that understanding. Their biggest mistake is in thinking the 45 are a majority. That’s why so many of them fall so short of expectations.